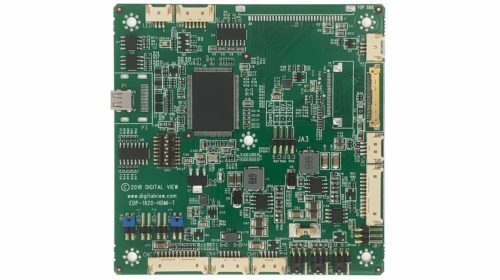 The DD-1920-HDMI-EDP controller is very compact and low latency, measuring just 91.4mm x 91.4mm x 4mm. The input micro-HDMI with a build option for a standard HDMI connector. SVX-2560, a powerful model that can accept and downscale 4K resolution, this LCD controller also has Ethernet support for commands. SVH-1920v2, excellent for support of old type video signals the inputs include DVI-D, ARGB (VGA), HD/SD Component, Composite, S-Video. This model also has an enhanced version available for harsher environments, the HE-1920v2. 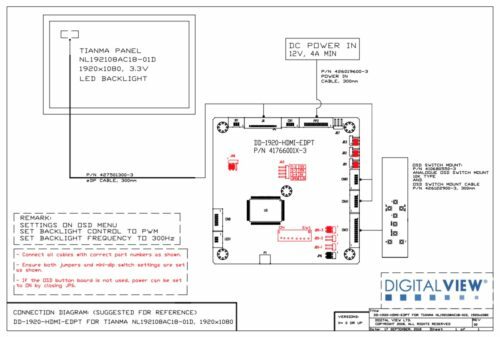 LCD controller and Tianma panel kits like this are available in the USA from our distributor, Edge Electronics. For further information regarding support of eDP input LCD panels please contact us.